With their exquisite mask-like makeup, elaborate hairstyles and elegant kimonos, Geisha are iconic and recognisable to people around the world as quintessentially Japanese. 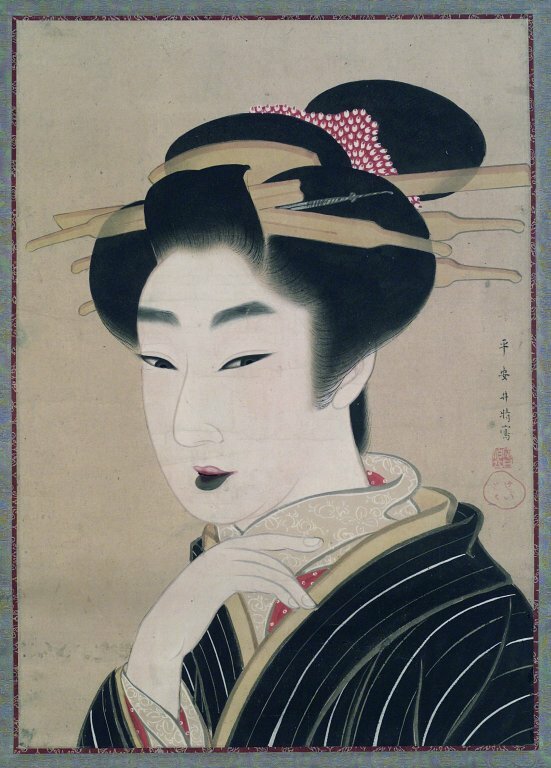 Geisha have roots in a culture which emerged during the ‘Edo’ or ‘Togugawa’ period which began in 1603 and ended in 1868. This period in Japan’s history is characterised by a predominantly feudal, non-egalitarian society with a great disparity between a wealthy ruling minority and a poor oppressed majority and between the rights and freedoms enjoyed by men and by women. 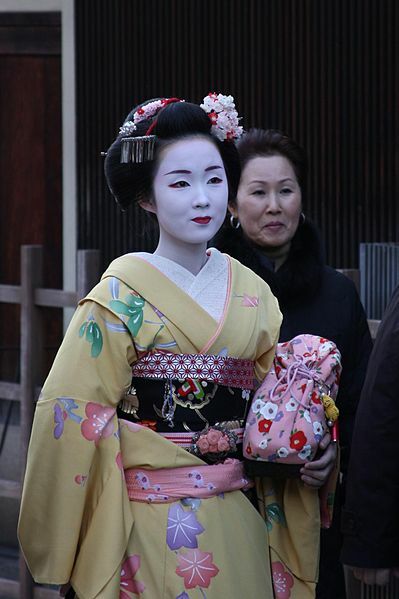 For this reason Geishas are problematic to some, particularly some younger Japanese people, who feel they signify an oppressive elitist patriarchal culture. Nevertheless Geisha can also be seen as practioner-guardians of a centuries-old performing arts tradition. With their long, expensive training, and the discipline and self-sacrifice required to qualify and succeed professionally, they could be seen as analogous to the classical prima ballerinas of the west.